Ribbon Black: Straightening out your old instruction manuals! 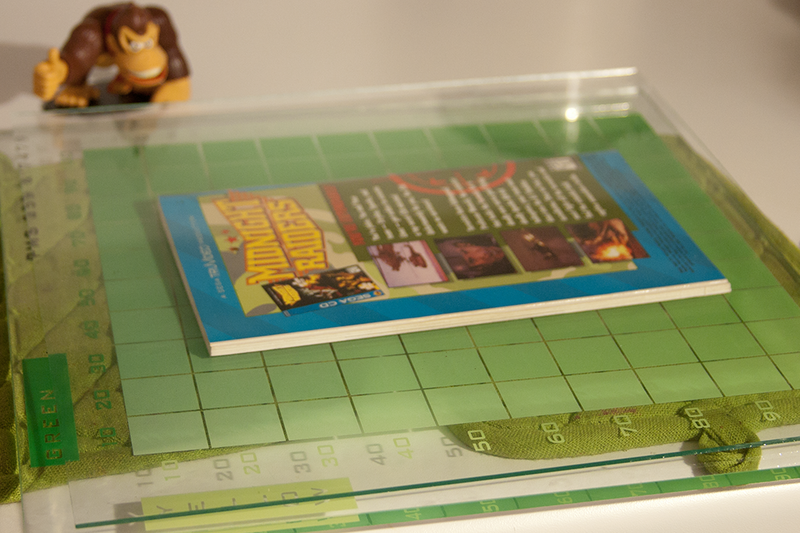 Straightening out your old instruction manuals! DISCLAIMER: I haven't had any problems with this method, but you're doing it at your own risk! I hereby absolve myself of any liability if you melt your instruction manual. 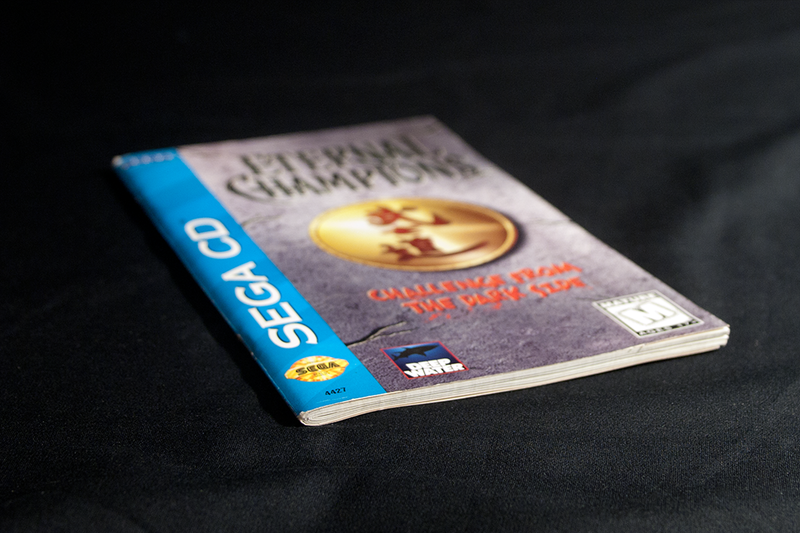 DISCLAIMER #2: After letting the manuals sit for a while, I can see that they do "relax" a bit and may become a little wavy again, especially very thick ones like the Eternal Champions manual. I've had success in making them stay flatter by simply repeating the process outlined below. I finally got a copy of one of my favorite Sega Saturn games, Crypt Killer! 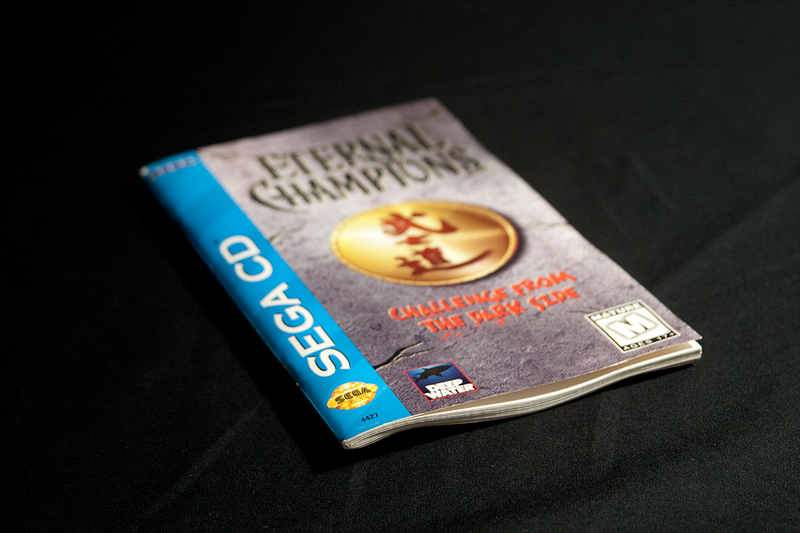 The disc and case were in good condition but I was disappointed to see that the manual was very warped. This was a particular problem for me because of the clear cases Saturn games use--like PS1 cases, the cover art is the manual, and an ugly manual = an ugly Crypt Killer. This seems to be a somewhat common problem with Sega Master System, Genesis and Saturn games...the tabs that hold the instruction booklets against the inside of the case lets them hang down then they're stored horizontally, leading to warping after a while. I performed this experiment with several Sega manuals and I was quite pleased with the results. 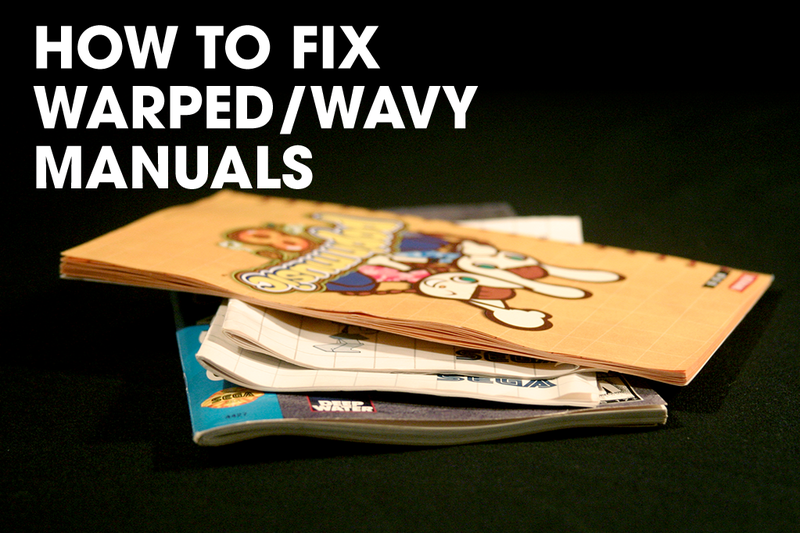 It may sound a little crazy, but if wrinkled, wobbly manuals bother you as much as me then why not give it a try? STEP 1: sandwich the manual between two sheets of glass. I used a piece of frame glass (old picture frames are easy to find for a dollar or less at thrift stores/flea markets) and a heavier sheet of glass that I believe was used for color matching Pantone swatches. Use what you can find! STEP 2: set your manual sandwich in the oven and turn it on to the lowest setting; my oven only goes down to 170˚ F, though yours may go lower. After the oven has reached temperature, continue to let it run for about 3 more minutes. You want the sheets of glass to absorb the ambient heat. STEP 3: Once your manual is golden brown and delicious, turn off the oven and (carefully) remove the glass/manual setup to keep it from getting too hot. Don't take the glass off the manual yet! It should help if you place some weight on top so that the manual will continue to be pressed as the glass cools--I personally just place a heavy pot on top of the glass. Let it sit for an hour or two before removing the top glass. Now there's a manual you can put on eBay! Another example. As you can see, there was a pretty severe crease in the corner that couldn't be entirely fixed, but it's a decent improvement! There are definitely other ways to fix warped instruction manuals; my first thought was to put a protective sheet of paper or something over the manual and run an iron over it, but I went with the oven method because it would apply low, sustained heat to the paper and slowly flatten it as the glass cools, with minimum chance of scorching anything. 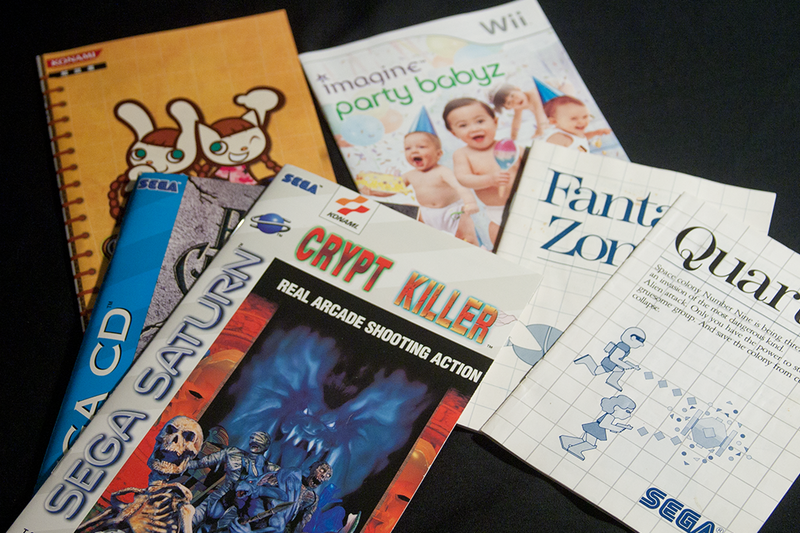 Now enjoy looking at your nice flat manuals!